For other uses, see Marcus Cocceius Nerva and Nerva (disambiguation). Nerva (/ˈnɜːrvə/; Latin: Marcus Cocceius Nerva Caesar Augustus; 8 November 30 – 27 January 98) was Roman emperor from 96 to 98. Nerva became emperor when aged almost 66, after a lifetime of imperial service under Nero and the rulers of the Flavian dynasty. Under Nero, he was a member of the imperial entourage and played a vital part in exposing the Pisonian conspiracy of 65. Later, as a loyalist to the Flavians, he attained consulships in 71 and 90 during the reigns of Vespasian and Domitian, respectively. On 18 September 96, Domitian was assassinated in a palace conspiracy involving members of the Praetorian Guard and several of his freedmen. On the same day, Nerva was declared emperor by the Roman Senate. This was the first time the Senate elected a Roman emperor. As the new ruler of the Roman Empire, he vowed to restore liberties which had been curtailed during the autocratic government of Domitian. Nerva's brief reign was marred by financial difficulties and his inability to assert his authority over the Roman army. A revolt by the Praetorian Guard in October 97 essentially forced him to adopt an heir. After some deliberation Nerva adopted Trajan, a young and popular general, as his successor. After barely fifteen months in office, Nerva died of natural causes on 27 January 98. Upon his death he was succeeded and deified by Trajan. Although much of his life remains obscure, Nerva was considered a wise and moderate emperor by ancient historians. Nerva's greatest success was his ability to ensure a peaceful transition of power after his death by selecting Trajan as his heir, thus founding the Nerva–Antonine dynasty. Marcus Cocceius Nerva was born in the village of Narni, 50 kilometers north of Rome, as the son of Marcus Cocceius Nerva, Suffect Consul during the reign of Caligula (37–41), and Sergia Plautilla. Ancient sources report the date as either 30 or 35. He had at least one attested sister, named Cocceia, who married Lucius Salvius Titianus Otho, the brother of the earlier Emperor Otho. Like Vespasian, the founder of the Flavian dynasty, Nerva was a member of the Italian nobility rather than one of the elite of Rome. Nevertheless, the Cocceii were among the most esteemed and prominent political families of the late Republic and early Empire, attaining consulships in each successive generation. The direct ancestors of Nerva on his father's side, all named Marcus Cocceius Nerva, were associated with imperial circles from the time of Emperor Augustus (27 BC – AD 14). His great-grandfather was Consul in 36 BC (in replacement, and abdicated), and Governor of Asia in the same year. His grandfather became Consul Suffect in July of either 21 or 22, and was known as a personal friend of Emperor Tiberius (AD 14–37), accompanying the emperor during his voluntary seclusion on Capri from 23 onwards, dying in 33. Nerva's father finally attained the consulship under the emperor Caligula. The Cocceii were connected with the Julio-Claudian dynasty through the marriage of Sergia Plautilla's brother Gaius Octavius Laenas, and Rubellia Bassa, the great-granddaughter of Tiberius. Not much of Nerva's early life or career is recorded, but it appears he did not pursue the usual administrative or military career. He was praetor-elect in the year 65 and, like his ancestors, moved in imperial circles as a skilled diplomat and strategist. As an advisor to Emperor Nero, he successfully helped detect and expose the Pisonian conspiracy of 65. His exact contribution to the investigation is not known, but his services must have been considerable, since they earned him rewards equal to those of Nero's guard prefect Tigellinus. He received triumphal honors—which was usually reserved for military victories—and the right to have his statues placed throughout the palace. According to the contemporary poet Martial, Nero also held Nerva's literary abilities in high esteem, hailing him as the "Tibullus of our time". Another prominent member of Nero's entourage was Vespasian, an old and respected general who had celebrated military triumphs during the 40s. It appears Vespasian befriended Nerva during his time as an imperial advisor, and may have asked him to watch over Vespasian's youngest son Domitian when Vespasian departed for the Jewish war in 67. The suicide of Nero on 9 June 68 brought the Julio-Claudian dynasty to an end, leading to the chaotic Year of the Four Emperors, which saw the successive rise and fall of the emperors Galba, Otho and Vitellius, until the accession of Vespasian on 21 December 69. Virtually nothing is known of Nerva's whereabouts during 69, but despite the fact that Otho was his brother-in-law, he appears to have been one of the earliest and strongest supporters of the Flavians. For services unknown, he was rewarded with a consulship early in Vespasian's reign in 71. This was a remarkable honour, not only because he held this office early under the new regime, but also because it was an ordinary consulship (instead of a less prestigious suffect consulship), making him one of the few non-Flavians to be honoured in this way under Vespasian. After 71 Nerva again disappears from historical record, presumably continuing his career as an inconspicuous advisor under Vespasian (69–79) and his sons Titus (79–81) and Domitian (81–96). He re-emerges during the revolt of Saturninus in 89. On 1 January, 89, the governor of Germania Superior, Lucius Antonius Saturninus, and his two legions at Mainz, Legio XIV Gemina and Legio XXI Rapax, revolted against the Roman Empire with the aid of a tribe of the Chatti. The governor of Germania Inferior, Lappius Maximus, moved to the region at once, assisted by the procurator of Rhaetia, Titus Flavius Norbanus. Within twenty-four days the rebellion was crushed, and its leaders at Mainz savagely punished. The mutinous legions were sent to the front of Illyricum, while those who had assisted in their defeat were duly rewarded. Domitian opened the year following the revolt by sharing the consulship with Nerva. Again, the honour suggested Nerva had played a part in uncovering the conspiracy, perhaps in a fashion similar to what he did during the Pisonian conspiracy under Nero. Alternatively, Domitian may have selected Nerva as his colleague to emphasise the stability and status-quo of the regime. The revolt had been suppressed, and the Empire could return to order. A bust of emperor Domitian. Capitoline Museums, Rome. On 18 September, 96, Domitian was assassinated in a palace conspiracy organised by court officials. The Fasti Ostienses, the Ostian Calendar, records that the same day the Senate proclaimed Marcus Cocceius Nerva emperor. Despite his political experience, this was a remarkable choice. Nerva was old and childless, and had spent much of his career out of the public light, prompting both ancient and modern authors to speculate on his involvement in Domitian's assassination. According to Cassius Dio, the conspirators approached Nerva as a potential successor prior to the assassination, which indicates that he was at least aware of the plot. Suetonius by contrast does not mention Nerva, but he may have omitted his role out of tactfulness. Considering the works of Suetonius were published under Nerva's direct descendants Trajan and Hadrian, it would have been less than sensitive of him to suggest the dynasty owed its accession to murder. On the other hand, Nerva lacked widespread support in the Empire, and as a known Flavian loyalist his track record would not have recommended him to the conspirators. The precise facts have been obscured by history, but modern historians believe Nerva was proclaimed Emperor solely on the initiative of the Senate, within hours after the news of the assassination broke. Although he appeared to be an unlikely candidate on account of his age and weak health, Nerva was considered a safe choice precisely because he was old and childless. Furthermore, he had close connections with the Flavian dynasty and commanded the respect of a substantial part of the Senate. Nerva had seen the anarchy which had resulted from the death of Nero; he knew that to hesitate even for a few hours could lead to violent civil conflict. Rather than decline the invitation and risk revolts, he accepted. The decision may have been hasty so as to avoid civil war, but neither the Senate nor Nerva appears to have been involved in the conspiracy against Domitian. Following the accession of Nerva as emperor, the Senate passed damnatio memoriae on Domitian: his coins and statues were melted, his arches were torn down and his name was erased from all public records. In many instances, existing portraits of Domitian, such as those found on the Cancelleria Reliefs, were simply recarved to fit the likeness of Nerva. This allowed quick production of new images and recycling of previous material. In addition, the vast palace which Domitian had erected on the Palatine Hill, known as the Flavian Palace, was renamed the "House of the People", and Nerva himself took up residence in Vespasian's former villa in the Gardens of Sallust. The change of government was welcome particularly to the senators, who had been harshly persecuted during Domitian's reign. As an immediate gesture of goodwill towards his supporters, Nerva publicly swore that no senators would be put to death as long as he remained in office. He called an end to trials based on treason, released those who had been imprisoned under these charges, and granted amnesty to many who had been exiled. All properties which had been confiscated by Domitian were returned to their respective families. Nerva also sought to involve the Senate in his government, but this was not entirely successful. He continued to rely largely on friends and advisors that were known and trusted, and by maintaining friendly relations with the pro-Domitianic faction of the Senate, he incurred hostility which may have been the cause for at least one conspiracy against his life. Having been proclaimed emperor solely on the initiative of the Senate, Nerva had to introduce a number of measures to gain support among the Roman populace. As was custom by this time, a change of emperor was expected to bring with it a generous payment of gifts and money to the people and the army. Accordingly, a congiarium of 75 denarii per head was bestowed upon the citizens, while the soldiers of the Praetorian Guard received a donativum which may have amounted to as much as 5000 denarii per person. This was followed by a string of economic reforms intended to alleviate the burden of taxation from the most needy Romans. To the poorest, Nerva granted allotments of land worth up to 60 million sesterces. He exempted parents and their children from a 5% inheritance tax, and he made loans to Italian landowners on the condition that they pay interest of 5% to their municipality to support the children of needy families; alimentary schemes which were later expanded by Trajan, Antoninus Pius, and Marcus Aurelius. Furthermore, numerous taxes were remitted and privileges granted to Roman provinces. Namely, he abolished abuses of the Fiscus Iudaicus, the additional tax which all Jews throughout the Empire had to pay: some of his coins bear the legend FISCI IUDAICI CALUMNIA SUBLATA (abolition of malicious prosecution regarding the Jewish tax). Before long, Nerva's expenses strained the economy of Rome and, although perhaps not ruinous to the extent once suggested by Syme, necessitated the formation of a special commission of economy to drastically reduce expenditures. The most superfluous religious sacrifices, games and horse races were abolished, while new income was generated from Domitian's former possessions, including the auctioning of ships, estates, and even furniture. Large amounts of money were obtained from Domitian's silver and gold statues, and Nerva forbade that similar images be made in his honor. Because he reigned only briefly, Nerva's public works were few, instead completing projects which had been initiated under Flavian rule. This included extensive repairs to the Roman road system and the expansion of the aqueducts. The latter program was headed by the former consul Sextus Julius Frontinus, who helped to put an end to abuses and later published a significant work on Rome's water supply, De Aquis Urbis Romae. The only major landmarks constructed under Nerva were a granary, known as the Horrea Nervae, and a small Imperial Forum begun by Domitian, which linked the Forum of Augustus to the Temple of Peace. Little remains, partly because the Via dei Fori Imperiali cuts across it. Despite Nerva's measures to remain popular with the Senate and the Roman people, support for Domitian remained strong in the army, which had called for his deification immediately after the assassination. In an attempt to appease the soldiers of the Praetorian Guard, Nerva had dismissed their prefect Titus Petronius Secundus—one of the chief conspirators against Domitian—and replaced him with a former commander, Casperius Aelianus. Likewise, the generous donativum bestowed upon the soldiers following his accession was expected to swiftly silence any protests against the violent regime change. The Praetorians considered these measures insufficient, however, and demanded the execution of Domitian's assassins, which Nerva refused. Continued dissatisfaction with this state of affairs would ultimately lead to the gravest crisis of Nerva's reign. While the swift transfer of power following Domitian's death had prevented a civil war from erupting, Nerva's position as an emperor soon proved too vulnerable, and his benign nature turned into a reluctance to assert his authority. Upon his accession, he had ordered a halt to treason trials, but at the same time allowed the prosecution of informers by the Senate to continue. This measure led to chaos, as everyone acted in his own interests while trying to settle scores with personal enemies, leading the consul Fronto to famously remark that Domitian's tyranny was ultimately preferable to Nerva's anarchy. Early in 97, a conspiracy led by the senator Gaius Calpurnius Piso Crassus Frugi Licinianus failed, but once again Nerva refused to put the conspirators to death, much to the disapproval of the Senate. The situation was further aggravated by the absence of a clear successor, made more pressing because of Nerva's old age and sickness. He had no natural children of his own and only distant relatives, who were unsuited for political office. A successor would have to be chosen from among the governors or generals in the Empire and it appears that, by 97, Nerva was considering to adopt Marcus Cornelius Nigrinus Curiatius Maternus, the powerful governor of Syria. This was covertly opposed by those who supported the more popular military commander Marcus Ulpius Traianus, commonly known as Trajan, a general of the armies at the German frontier. In October 97 these tensions came to a head when the Praetorian Guard, led by Casperius Aelianus, laid siege to the Imperial Palace and took Nerva hostage. He was forced to submit to their demands, agreeing to hand over those responsible for Domitian's death and even giving a speech thanking the rebellious Praetorians. Titus Petronius Secundus and Parthenius, Domitian's former chamberlain, were sought out and killed. Nerva was unharmed in this assault, but his authority was damaged beyond repair. Thus Trajan became Caesar and later emperor, although there were relatives of Nerva living. But Nerva did not esteem family relationship above the safety of the State, nor was he less inclined to adopt Trajan because the latter was a Spaniard instead of an Italian or Italot, inasmuch as no foreigner had previously held the Roman sovereignty; for he believed in looking at a man's ability rather than at his nationality. Contrary to the view here popularized by Cassius Dio, however, Nerva had in fact little choice with regard to his successor. Faced with a major crisis, he desperately needed the support of a man who could restore his damaged reputation. The only candidate with sufficient military experience, consular ancestry, and connections was Trajan. Likewise, Edward Gibbon's assertion that Nerva hereby established a tradition of succession through adoption among the Five Good Emperors has found little support among modern historians. Roman aureus struck under Trajan, c. 115. The reverse commemorates both Trajan's natural father, Marcus Ulpius Traianus (right) and his adoptive father, the Deified Nerva (left). Caption: IMP. TRAIANVS AVG. GER. DAC. P. M., TR. P., CO[N]S. VI, P. P. / DIVI NERVA ET TRAIANVS PAT. On 1 January, 98, at the start of his fourth consulship, Nerva suffered a stroke during a private audience. Shortly thereafter he was struck by a fever and died at his villa in the Gardens of Sallust, on 28 January. He was deified by the Senate, and his ashes were laid to rest in the Mausoleum of Augustus. Nerva was succeeded without incident by his adopted son Trajan, who was greeted by the Roman populace with much enthusiasm. According to Pliny the Younger, Trajan dedicated a temple in honour of Nerva, yet no trace of it has ever been found; nor was a commemorative series of coins for the Deified Nerva issued until ten years after his death. According to Cassius Dio, however, the Guard prefect responsible for the mutiny against Nerva, Casperius Aelianus, was 'dismissed' (probably executed) upon Trajan's accession. Due to the lack of written sources on this period, much of Nerva's life has remained obscure. The most substantial surviving account of the reign of Nerva was written by the 3rd-century historian Cassius Dio. His Roman History, which spans nearly a millennium, from the arrival of Aeneas in Italy until the year 229, was composed more than one hundred years after Nerva had died. Further details are added by an abridged biography from the Epitome de Caesaribus, a work alleged to have been authored by the 4th-century historian Aurelius Victor. A more comprehensive text, presumed to describe the life of Nerva in closer detail, is the Histories, by the contemporary historian Tacitus. The Histories is an account of the history of Rome covering three decades from the suicide of emperor Nero in 69 until the death of Domitian in 96. However, a substantial part of the work has been lost, with only the first five books covering the Year of the Four Emperors remaining. In the introduction to his biography of Gnaeus Julius Agricola however, Tacitus speaks highly of Nerva, describing his reign as "the dawn of a most happy age, [when] Nerva Caesar blended things once irreconcilable, sovereignty and freedom". Nerva had scarcely accepted the purple from the assassins of Domitian before he discovered that his feeble age was unable to stem the torrent of public disorders which had multiplied under the long tyranny of his predecessor. His mild disposition was respected by the good; but the degenerate Romans required a more vigorous character, whose justice should strike terror into the guilty. Nerva was, it would seem, the ultimate "committee" man. He was not, apparently, a great orator, and one has the impression that he functioned better in small groups, where his generally calm approach to problems will have impressed people. [...] What is well-known today, however, is that, more often than not, if the "super committee man" takes on an important administrative job, the result is quite dreadful. Rome was, indeed, spared catastrophe; but for all that near-contemporary writers were "careful" about what they said, Nerva's administration was fairly inept. It would not be unfair to say that he was a textbook illustration of what nowadays is called the "Peter Principle". His place in Roman history is therefore summarized as a necessary, if tumultuous stop-gap before the Trajanic-Antonine dynasties. Even the only major public work completed during his reign, the Forum of Nerva, ultimately became known as the Forum Transitorium, or transitional forum. Two modern statues which commemorate Nerva can be found in towns associated with him. There is an equestrian statue in Gloucester, England, a town which was founded in his honour. It is at the entrance to Southgate Street. There is also a statue at his alleged birthplace, Narni in Italy, at Cocceio Nerva street. Nerva as Jupiter; cast of a sculpture in the Capitoline Museums (Pushkin Museum, Moscow). Unique, late 1st century AD bust of emperor Nerva in chalcedony from private collection. Nerva was played by Norman Wooland in the 1951 film Quo Vadis. He was also played by Giuliano Gemma in the 1964 film Revolt of the Praetorians. ^ In Classical Latin, Nerva's name would be inscribed as MARCVS COCCEIVS NERVA CAESAR AVGVSTVS. ^ "Aurelius Victor records the year as 35, Cassius Dio as 30. The latter has been more widely accepted" (Wend, n. 2). Ronald Syme considered the dates of Nerva's later offices more consistent with 35; see Syme, Ronald (1958). Tacitus. Oxford: Oxford University Press. p. 653. ISBN 978-0-19-814327-7. ^ Syme, Ronald (1983). "Domitian: The Last Years". Chiron. 13: 121–146. ^ Last, Hugh (1948). "On the Flavian Reliefs from the Palazzo della Cancelleria". The Journal of Roman Studies. 38 (1–2): 9–14. doi:10.2307/298163. JSTOR 298163. ^ Wend, David (1997). "Nerva (96–98 A.D.)". Retrieved 2007-09-23. ^ For a complete overview of financial reforms, see Merlin, Alfred (1906). Les Revers Monétaires de l'Empereur Nerva (French). Paris. Retrieved 2007-08-14. ^ Ashley, Alice M. (1921). "The 'Alimenta' of Nerva and His Successors". The English Historical Review. 36 (141): 5–16. doi:10.1093/ehr/XXXVI.CXLI.5. ^ Sutherland, C.H.V. (1935). "The State of the Imperial Treasury at the Death of Domitian". The Journal of Roman Studies. 25 (2): 150–162. doi:10.2307/296596. JSTOR 296596. ^ Platner, Samuel Ball (1929). Ashby, Thomas (ed.). A Topographical Dictionary of Ancient Rome. London: Oxford University Press. pp. 260–263. Retrieved 2007-09-22. ^ a b c d Lendering, Jona (2005). "Casperius Aelianus". Livius.org. Retrieved 2007-09-22. ^ Crassus was exiled to Tarentum and later executed under emperor Hadrian. ^ a b Lendering, Jona. "Pliny, Nerva and Trajan". Livius.org. Retrieved 2007-08-13. ^ Syme, Ronald (1980). "Guard Prefects of Trajan and Hadrian". The Journal of Roman Studies. 70: 64–80. doi:10.2307/299556. JSTOR 299556. ^ Geer, Russell Mortimer (1936). "Second Thoughts on the Imperial Succession from Nerva to Commodus". Transactions and Proceedings of the American Philological Association. 67: 47–54. doi:10.2307/283226. JSTOR 283226. ^ Tacitus, Agricola 3. The original phrase is primo statim beatissimi saeculi ortu Nerva Caesar res olim dissociabilis miscuerit, principatum ac libertatem. ^ Gibbon, Edward (1906) . "3". In John Bagnell Bury (ed.). The History of the Decline and Fall of the Roman Empire Vol. 1 (J.B. Bury ed.). New York: Fred de Fau and Co. Retrieved 2007-08-13. ^ Platner, Samuel Ball (1929). Ashby, Thomas (ed.). A Topographical Dictionary of Ancient Rome: Forum Nervae. London: Oxford University Press. pp. 227–229. Retrieved 2007-09-22. ^ "The Nerva Statue". Gloucester.gov.uk. Archived from the original on 27 September 2007. Retrieved 2007-09-30. ^ "Narnia italy". Retrieved 2008-02-02. Grainger, John D. (2003). Nerva and the Roman Succession Crisis of AD 96–99. London: Routledge. ISBN 978-0-415-28917-7. Jones, Brian W. (1992). The Emperor Domitian. London: Routledge. ISBN 978-0-415-04229-1. Murison, Charles Leslie (2003). 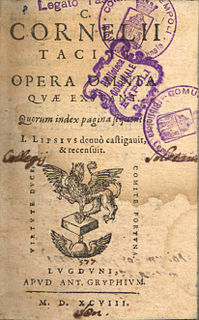 "M. Cocceius Nerva and the Flavians" (subscription required). Transactions of the American Philological Association. 133 (1): 147–157. doi:10.1353/apa.2003.0008. Syme, Ronald (1930). "The Imperial Finances under Domitian, Nerva and Trajan". The Journal of Roman Studies. 20: 55–70. doi:10.2307/297385. JSTOR 297385. Syme, Ronald (1982). "The Marriage of Rubellius Blandus". The American Journal of Philology. 103 (1): 62–85. doi:10.2307/293964. JSTOR 293964. Elkins, Nathan T. (2017). The Image of Political Power in the Reign of Nerva, AD 96–98. Oxford and New York: Oxford University Press. ISBN 9780190648039. Syme, Ronald (1958). Tacitus. Oxford: Oxford University Press. ISBN 978-0-19-814327-7. Wikimedia Commons has media related to Nerva. Wend, David (1998). "Nerva (96–98 A.D.)". De Imperatoribus Romanis. Retrieved 2007-08-11. Pelham, Henry Francis (1911). "Nerva, Marcus Cocceius" . In Chisholm, Hugh (ed.). Encyclopædia Britannica. 19 (11th ed.). Cambridge University Press. pp. 393–394. Histories is a Roman historical chronicle by Tacitus. Written c. 100–110, it covers the Year of Four Emperors following the downfall of Nero, as well as the period between the rise of the Flavian Dynasty (69–96) under Vespasian and the death of Domitian. The Nerva–Antonine dynasty was a dynasty of seven Roman Emperors who ruled over the Roman Empire from 96 CE to 192 CE. These Emperors are Nerva, Trajan, Hadrian, Antoninus Pius, Lucius Verus, Marcus Aurelius, and Commodus. The gens Calpurnia was a plebeian family at Rome, which first appears in history during the third century BC. The first of the gens to obtain the consulship was Gaius Calpurnius Piso in 180 BC, but from this time their consulships were very frequent, and the family of the Pisones became one of the most illustrious in the Roman state. Two important pieces of Republican legislation, the lex Calpurnia of 149 BC and lex Acilia Calpurnia of 67 BC were passed by members of the gens. The history of the Roman Empire covers the history of ancient Rome from the fall of the Roman Republic in 27 BC until the abdication of the last Western emperor in 476 AD. 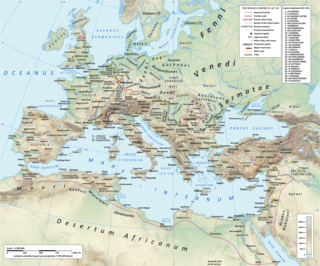 Rome had begun expanding shortly after the founding of the Republic in the 6th century BC, though it did not expand outside of the Italian Peninsula until the 3rd century BC. Civil war engulfed the Roman state in the mid 1st century BC, first between Julius Caesar and Pompey, and finally between Octavian and Mark Antony. Antony was defeated at the Battle of Actium in 31 BC. In 27 BC the Senate and People of Rome made Octavian imperator ("commander") thus beginning the Principate, the first epoch of Roman imperial history usually dated from 27 BC to 284 AD; they later awarded him the name Augustus, "the venerated". The success of Augustus in establishing principles of dynastic succession was limited by his outliving a number of talented potential heirs: the Julio-Claudian dynasty lasted for four more emperors—Tiberius, Caligula, Claudius, and Nero—before it yielded in 69 AD to the strife-torn Year of Four Emperors, from which Vespasian emerged as victor. Vespasian became the founder of the brief Flavian dynasty, to be followed by the Nerva–Antonine dynasty which produced the "Five Good Emperors": Nerva, Trajan, Hadrian, Antoninus Pius and the philosophically inclined Marcus Aurelius. In the view of the Greek historian Dio Cassius, a contemporary observer, the accession of the emperor Commodus in 180 AD marked the descent "from a kingdom of gold to one of rust and iron"—a famous comment which has led some historians, notably Edward Gibbon, to take Commodus' reign as the beginning of the decline of the Roman Empire. The gens Vibia was a plebeian family at ancient Rome. Although individuals named Vibius appear in history during the time of the Second Punic War, no members of this gens are found at Rome until the final century of the Republic. The first of the Vibii to obtain the consulship was Gaius Vibius Pansa in 43 BC, and from then until imperial times the Vibii regularly filled the highest offices of the Roman state. The emperors Trebonianus Gallus and Volusianus each claimed descent from the family. The gens Ulpia was a Roman family that rose to prominence during the first century AD. The gens is best known from the emperor Marcus Ulpius Trajanus, who reigned from AD 98 to 117. The Thirtieth Legion took its name, Ulpia, in his honor.